The river star (Gomphostigma virgatum): growing, planting, caring. A South-African shrub - cousin of the Buddleia. 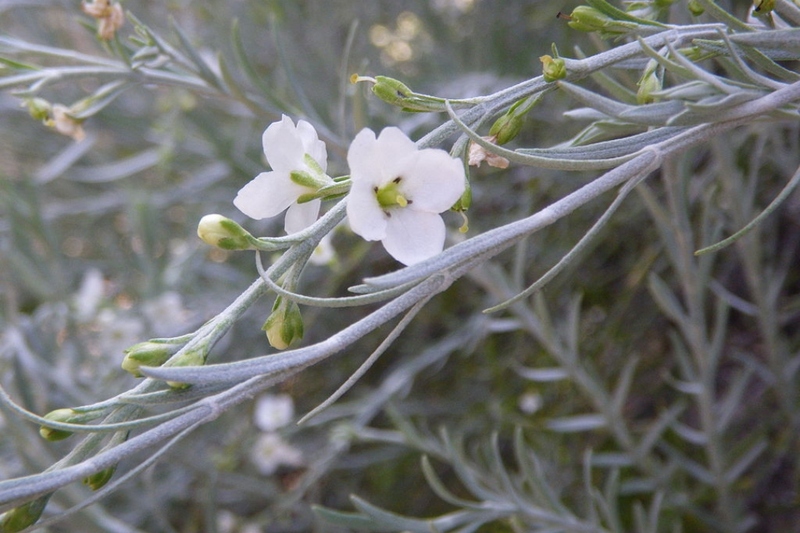 Gomphostigma is an evergreen arching shrub growing up to to 1.5m with narrow, stemless silvery leaves and tiny white star-shaped flowers in small clusters. Plant in full sun to light shade. It’s hardy to -10°C, and low maintenance. Plant your gomphostigma in a sunny position, in a very well drained soil or sandy, neutral acid. It will enjoy a bit of shade during the hottest hours of the day. Plant in open soil, in the spring so that it is sufficiently rooted to support the first winter. The gomphostigma will only support short frosts: in areas where frost is common, grow it in pot in order to shelter it in winter. Your Gomphostigma grows in its natural habitat on river banks, its roots in water, but remains relatively resistant to drier conditions. Water sparingly for a few weeks after planting, and in the summer in case of drought : check the needs by pushing your finger a few inches deep in the substrate, and water if it is dry underneath. If grown in a pot, and depending on the size of the pot, you may need to water fro time to time - same thing, check with your finger and water only if needed! If you keep your gomphostigma potted, if possible repot every 2 to 3 years, in a simple potting soil and a slightly larger pot. Otherwise, scrape and remove the upper layer of the mixture, and replace it with some new potting soil or some well decomposed compost. A vigorous trim in late winter or early spring to help maintain it's bushy shape and increase its future flowering is all this plant needs!